Campers are divided by age into 3 sections by age. Within sections, campers are divided into housing groups, again by age. Each section works in the same instructional area together. Woodsmen: Live in log cabins. Pioneers: Live in log cabins. Pioneers: Live in log lean-tos. Indians: Live in canvas teepees. In this special program, up to 10 Deerfooters are teamed with 2 counselors to provide an extensive tripping experience. The Voyageur Program is designed to offer a high degree of challenge which will greatly sharpen wilderness skills, build self-confidence and strengthen a young man’s relationship with God. Applicants must have had one session on the Island and demonstrated aptitude for the trip. Through this special program, fathers can enjoy a piece of the Deerfoot experience with their sons. In order for a father to be eligible, his son must have been a camper in the session immediately prior to the weekend in which he will participate. Fathers arrive Friday afternoon for the banquet dinner at 5:45, and spend the night in a cabin. 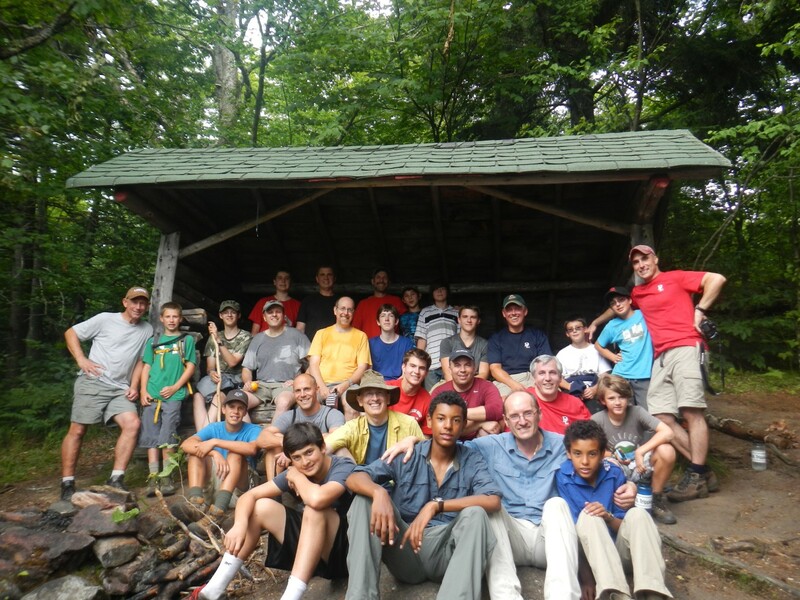 At the ADK Camp, fathers and their sons will canoe a local river and then camp at sites around Whitaker lake. The weekend concludes the Sunday morning. Space is limited to 10-12 Fathers. In order to avail this opportunity to as many dads as possible, we limit the experience to two years per dad. To apply for the Father/Son weekend, visit your CampInTouch Account. This staff training program is the primary source of Deerfoot’s excellent staff. Guide candidates must be 17 or 18 years of age by the first day of session 1. Candidates complete a standard four-page staff application and are interviewed by the Summer Camp Director. Selections are based upon leadership readiness, spiritual maturity, and camping skills. Besides learning how to be counselors, Guides spend time hiking in the High Peaks, canoeing in Maine, and training for Life Guard, CPR, and First Aid certifications. Guides will also gain experience serving in maintenance, the kitchen, and as assistant counselors. Leadership responsibility and personal challenge are provided as we seek to build godly men and future staff for Deerfoot. Cost: $2980 (the fee for two sessions).